Convey a sense of drama with MAJESTY. Majesty was designed with the intention of adding a touch of refined class to any implementation of it. An incised typeface, having a friendly resonance without being too austere, Majesty sits somewhere between the Trajan and Albertus type families, being inspired by the tradition of engraved type over the centuries. While it can be used for body copy, I see Majesty’s primary applications as for use in branding, identity design, packaging, and titling, etc. Majesty chosen as one of Fontspring’s Best Fonts of 2018. Please try the fonts here for yourself using the Type Tester. If you like what you see, you can purchase Majesty from my reseller partners. Be sure to check all the links as promotions are available occasionally. Firstly, I have always loved incised serifs and I have been feeling for a long time that my earlier attempt at designing a flared typeface, Pseudonym, was nowhere near what I was hoping to achieve in terms of style and quality, so Majesty is an attempt to improve upon that. Recently I have been paying more attention to the decades’ worth of engraved type on gravestones while on my daily walks. An appreciation of the craft involved was quite overwhelming – particularly when studying the pre-sandblasting era hand-chiselled type. After making sketches of my own, I brought this influence into the creation of Majesty and hoped that I could evoke the same kind of awe when viewing these new, digital letterforms. As mentioned above, similar engraved/incised type families such as Trajan, Albertus, Friz Quadrata, Baker Signet, and Alexon were influences and reference points in Majesty’s creation. What I hope to have achieved is a sense of familiarity through association with those influences, and for my own glyphs to be elegant, strong and distinctive in their own right. A theme that runs through my type designs is to pack in many useful OpenType features, and Majesty is no exception. Included in each font are Alternates, Small Caps, Petite Caps, Standard & Discretionary Ligatures, Proportional, Tabular, Small Cap and Old Style Figures, Fractions (Numerators & Denominators) plus Superiors and Inferiors – all available by the click of a button (usually! Thanks, Adobe). It would always bug me that some foundries have a separate font for their small caps, this, to me, was quite disruptive in my graphic design workflow whether creating an identity or working on an annual report. It is much easier in my opinion to make use of OpenType functionality and switch from lowercase to small caps with the click of a button. 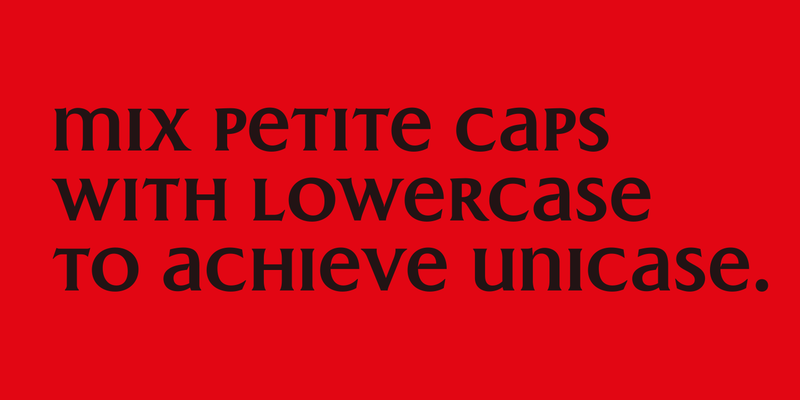 With Majesty, you also get petite caps that harmonise with the lowercase glyphs so that you can create unicase-style typography quickly and easily. 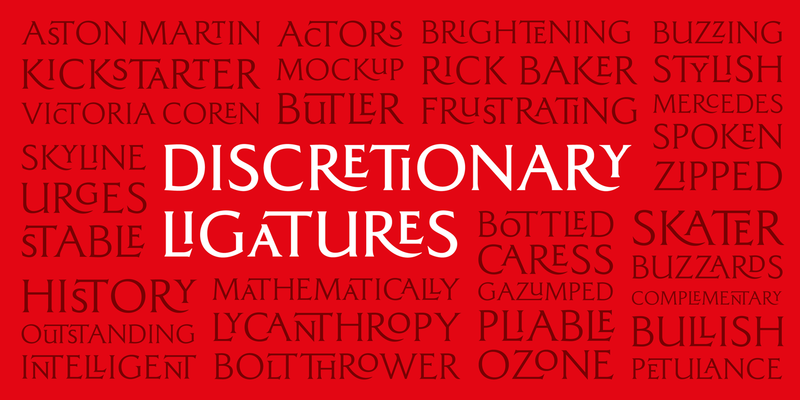 Perhaps the most effective and desirable feature I have built into Majesty are the all-cap discretionary ligatures. 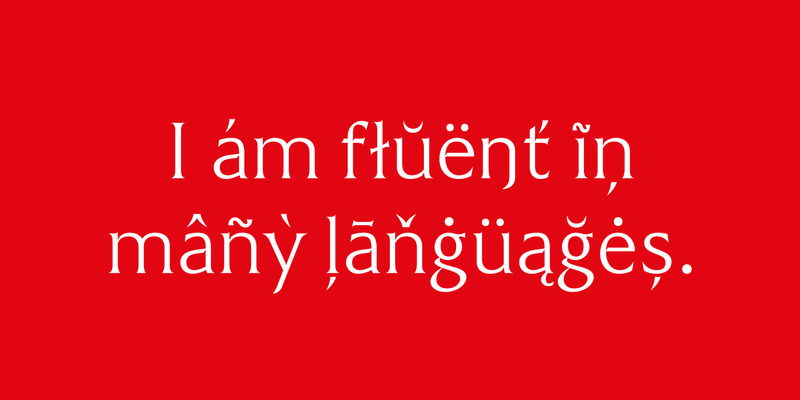 There are 52 capital ligatures and 16 lowercase ligatures – although it must be said that the lowercase ligatures only really become apparent in the Poster weight. I believe users will really enjoy the ligatures in Majesty as the glyphs shape-shift on the fly when typing your all cap headlines. 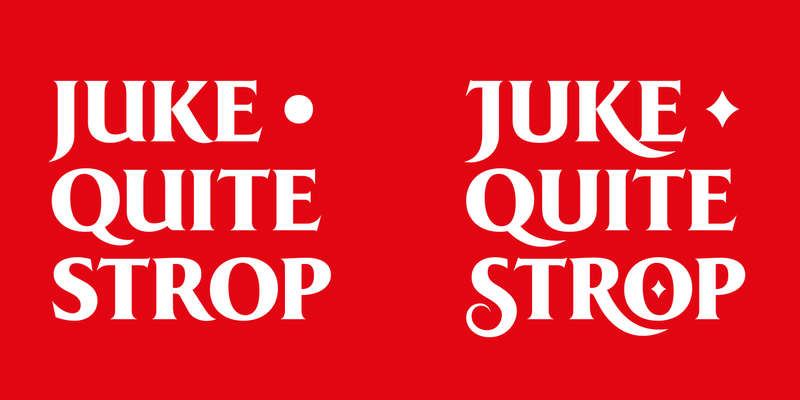 Following on in the tradition of my Carrig Pro and Fnord typefaces, I have also included alternate/swash glyphs for the J, K, O, Q, R, S, and U characters that will help you make more embellished typography. 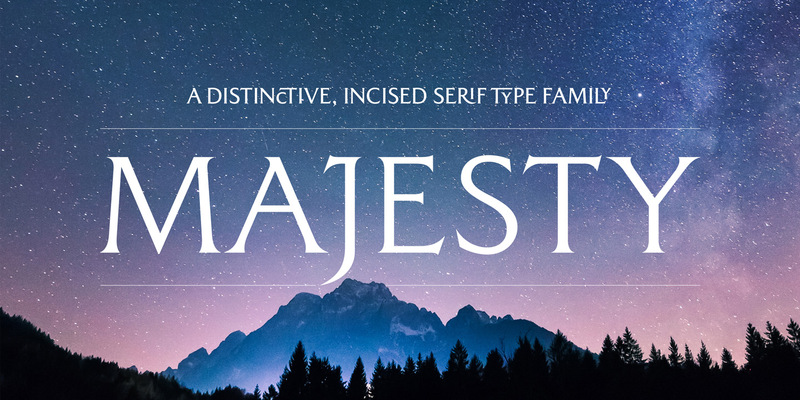 To find out more about Majesty, please download and peruse the Specification Sheet and, if you like it, follow the links to my type partners to licence the fonts to use in your own projects. Finally, if you’d like to grab the Regular weight for free, just send me a message below and confirm your subscription to my mailing list and I will send it on! Note that the fonts here are limited versions. To test all features, please visit my type partners. Where can I buy Majesty? © 2018 - 2019 PAULO GOODE: TYPE DESIGNER, SCHULL, WEST CORK, IRELAND.